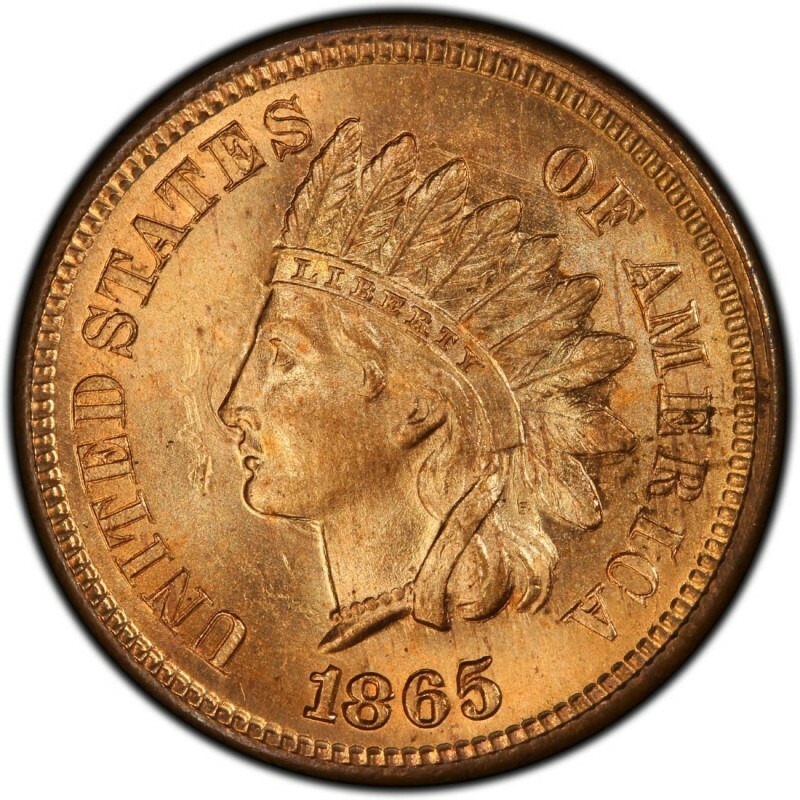 1865 Indian Head cents represent the first full year the series was struck in the now familiar bronze alloy. For the most part, 1865 pennies are considerably common, and they are not very difficult to find at a coin dealer’s shop or online on web retailers or at the popular eBay auction site. 1865 Indian Head cents are largely sought by series collectors who attempt to assemble a complete run of Indian Head cents from 1859 through 1909. *Values are for coins grading Good-4, unless otherwise stated. 1865 Indian Head cents were designed by James B. Longacre, who served as Chief Engraver of the United States Mint and is associated with the creation of several well-known coins. 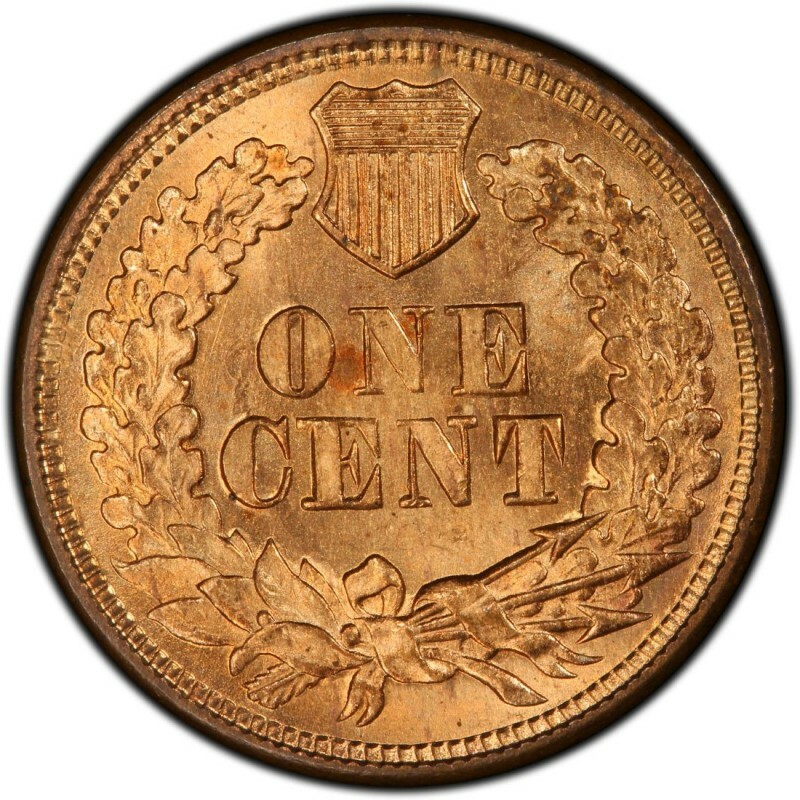 One of his most famous, aside from the Indian Head penny, is the two-cent piece, which in 1864 became the first U.S. coin to bear the motto IN GOD WE TRUST. The “Indian” on the penny is actually a representative figure of Miss Liberty wearing a traditional Native American headdress.